The Grand Ole Opry® partnered with Susan G. Komen® Foundation this evening as part of the special two-show 10th Edition of Opry Goes Pink. 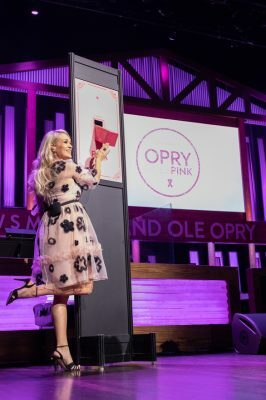 Opry member and Capitol Records Nashville’s superstar Carrie Underwood, who flipped the switch on the inaugural Opry Goes Pink in 2009, returned to flip the switch on the Opry’s signature barn backdrop, turning it pink to celebrate survivors and raise awareness for the fight against breast cancer. Underwood and others including artists and breast cancer survivors Anita Cochran, Karen Mills, and Rita Wilson (who just made her Opry debut Tuesday night), as well as Ronnie Milsap, Riders In The Sky, and more performed in support of breast cancer awareness and raised funds for Susan G. Komen®‘s Nashville chapter. Gone West featuring Colbie Caillat made their Opry debut on the special show. 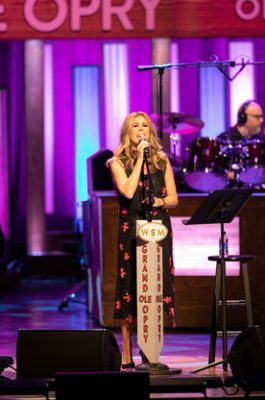 Actress/Singer/songwriter and breast cancer survivor Rita Wilson performs at the special two-show 10th Edition of Opry Goes Pink. 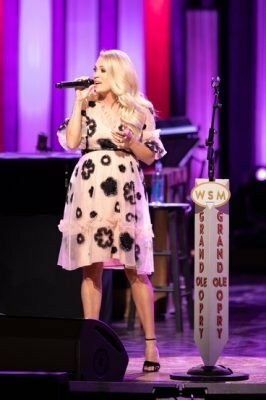 performs at the special two-show 10th Edition of Opry Goes Pink. 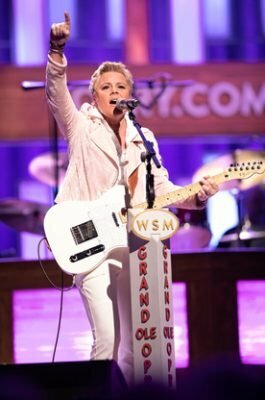 Singer/Songwriter and breast cancer survivor Anita Cochran performs at the special two-show 10th Edition of Opry Goes Pink. 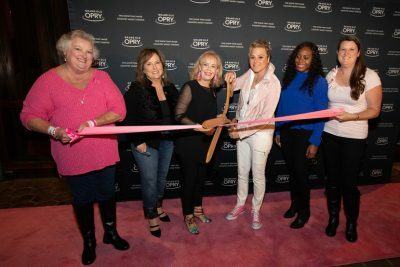 The evening kicked off with Anita Cochran cutting a pink ribbon and leading a pink carpet walk into the Grand Ole Opry House. Breast cancer survivors and members of their support networks were followed by fans on the carpet, all pledging to support the fight against the disease. The Opry is donating $5 from each ticket sold since the announcement of tonight’s shows to the Susan G. Komen® Foundation. The Grand Ole Opry®is presented by Humana®. Opry performances are held every Friday and Saturday of the year, with Tuesday night shows through December 11. To plan an Opry visit, call (800) SEE-OPRY or visit opry.com. The Opry presents the best in country music live every week from Nashville, Tenn. 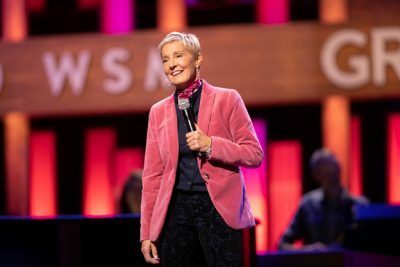 Celebrating nine decades of entertainment, the Opry can be heard at opry.comand wsmonline.com, Opry and WSM mobile apps, SiriusXM Satellite Radio, and its flagship home, 650 AM-WSM. The Grand Ole Opry is owned by Ryman Hospitality Properties (NYSE: RHP). For more information, visit opry.com. Country Music News Blog participates in advertising programs that help fund the operation of this site. For more information please visit our privacy statement. This entry was posted in Concerts, Featured, Press Releases by Shauna "WhiskeyChick" Castorena. Bookmark the permalink.